The skin care experts at Pure MD are passionate about their users having awesome skin. Their mission is to help their users understand the quality ingredients matter. With the perfect balance of natural botanical and organic extracts and modern science they have come up with an impressive skin care line. Their products are packed with the newest, high quality effective ingredients to address everything from again skin, to rosacea, acne and more. 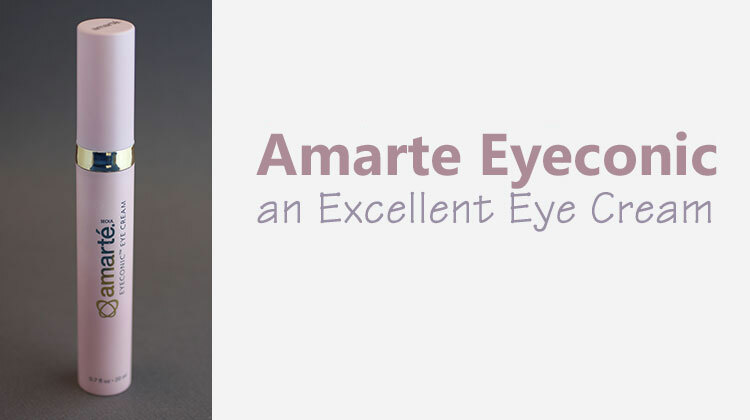 Recently the Pure MD sent us their High Eye-Q, Anti-Wrinkle Cream which retails for approximately $98 USD. Our skin care review staff was very impressed and give it the thumbs up for quality ingredients, and seeing noticeable improvement after using it. It looks great with or without makeup giving a natural youthful appearance around the eyes, combating those fine lines and crow’s feet. The price might be high for some however the difference in the reviewers skin we saw around the eyes when using it justified the cost. This is especially true if we compare it to comparable products that also show as dramatic results such as the eye creams from Chanel, La Mer, Guerlain, Chantecaille, Amore Pacific, Sisley Sisleya, Orlane, Kanebo, La Prairie and Cle de Peau. All comparable products retail for $170 to $1000 much more than Pure MD. 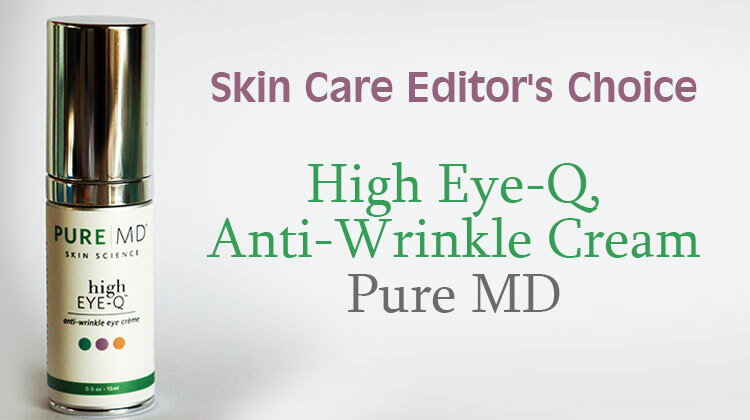 Our Skin Care Editors feels Pure MD, High Eye-Q, Anti-Wrinkle Cream is worth the price and is an excellent product. Aqua (Water), Glyceryl Stearate Glycine Soja (Soybean) Protein, Acetyl Glutamyl Heptapeptide-1, Butylene Glycol, Ethoxydiglycol, Dimethylacrylamide/ Acrylic acid Polystyrene Ethyl Methacrylate Copolymer, Palmitoyl Hexapeptide- 6, Lycium Barbarum Extract (Goji Berry) , Sodium Benzoate, Phenoxyethanol, Glycerin, Cetyl Alcohol, Stearic Acid, Olea Europaea (Olive) Fruit Oil, Ruscus Aculeatus Root Extract,Centella Asiatica Extract, D-panthenol, Calendula O cinalis Flower Extract, Hydrolyzed Yeast Protein, Aesculus Hippocastanum (Horse Chestnut) Seed Extract, Ca eine, Hibiscus Sabdari a Flower Extract,Plantago Ianceolata Extract, Potassium Sorbate, D-alpha-tocopherol, Aloe Barbadensis Leaf Juice, Retinol, Prunus Amygdalus Dulcis (Sweet Almond) Oil, Allantoin, Lecithin, Daucus Carota Sativa (Carrot) Seed Extract, Anthemis Nobilis Flower Extract, Althaea O cinalis Root Extract, Xanthan Gum, Benzyl Alcohol.